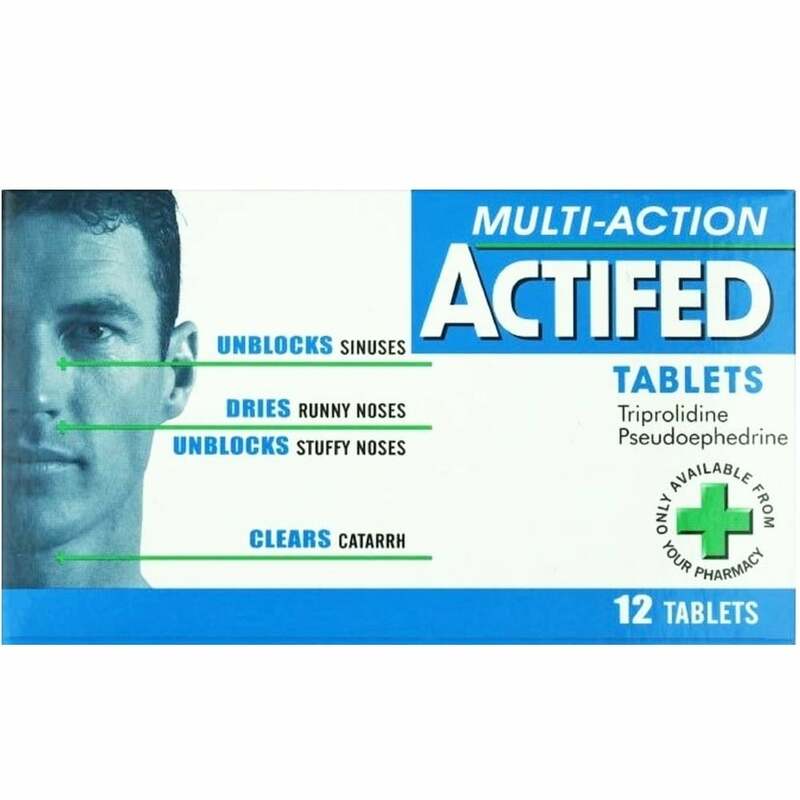 Actifed Multi Action Tablets help to relieve sinuses, a blocked nose and clear catarrh, and other symptoms associated with cold and flu. A multi-action tablet that unblocks sinuses and stuffy noses, dries up runny noses and clears catarrh. Containing an active ingredient to relieve symptoms of allergies, such as sneezing and a drying action to relieve hayfever symptoms and a runny nose. Adults and children over 12 years- one tablet every four to six hours. no more than 4 doses in 24 hours. Each tablet contains Pseudoephedrine hydrochloride 60mg and Triprolidine hydrochloride 2.5mg. Not suitable for children under 12 years of age. Do not take if you have, very high blood pressure or severe heart disease, if you have ever had a bad reaction to any of the ingredients, if you are takins MAOIs.